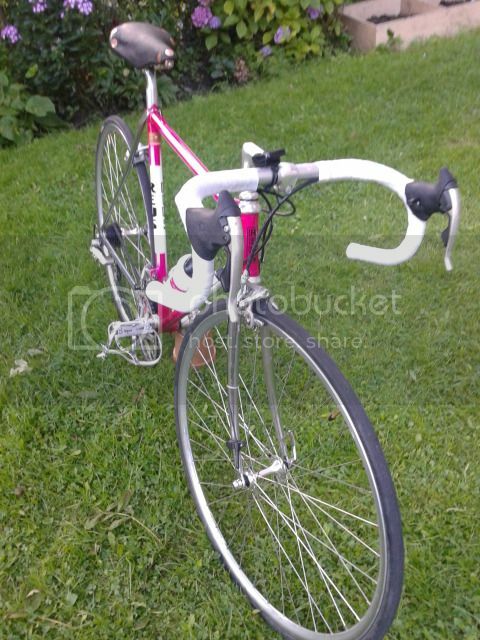 Hi again, new here, just posted some pics of a Colnago frame I got in Amsterdam a while ago.. I am Dutch and here are some pics of my daily beater, a bike made by Jan de Reus Jr in Zwanenburg. 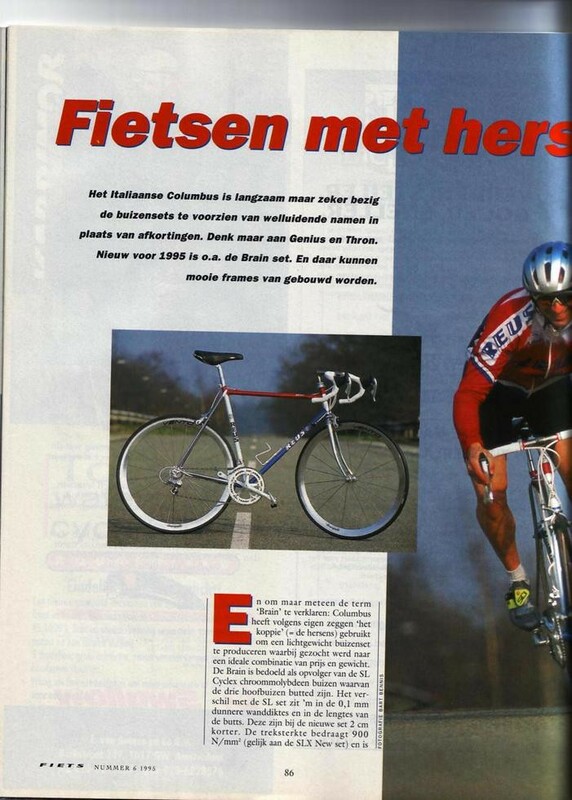 It was made in the early 90's, Columbus XLS tubing, and it's one of the fastest rides I have had and I have had a lot of bikes in the past, mostly Amsterdam - built bikes such as Presto, Rih, Brands, Zieleman, and the odd Mercier, Motobecane, etc, wish I had kept them all now! Last edited by JYvdK on Fri Mar 01, 2013 11:55 am, edited 1 time in total. Absolutely awesome. I have three Reus'. One was my rider three summers ago. Absolutely among the best riding bikes, if not the best. It looks like your Reus is an original from Mr. Jan de Reus himself. Probably one of the last. A 'beater' you say. Isn't it a bit too nice for a beater? 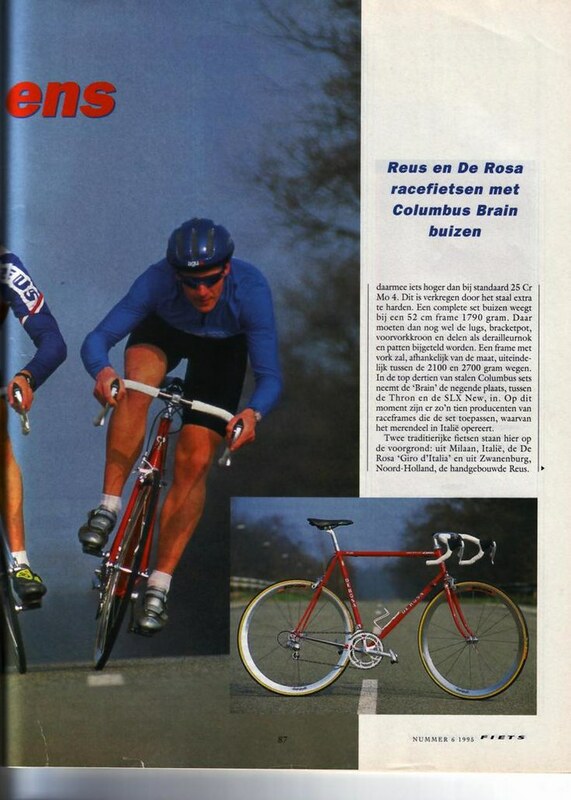 Thanks for the compliment, it is my favourite bike...., it is my beater as I got nothing else at the moment...it was built by Jan de Reus Jr in Zwanenburg, you are right, Ron Snijders now runs the shop and they are still doing well...I use it every day and still kept the original saddle, pedals and brakes just in case...would be great to see some pics of your Reus collection! You can view 2 of them on VeloBase under this link. 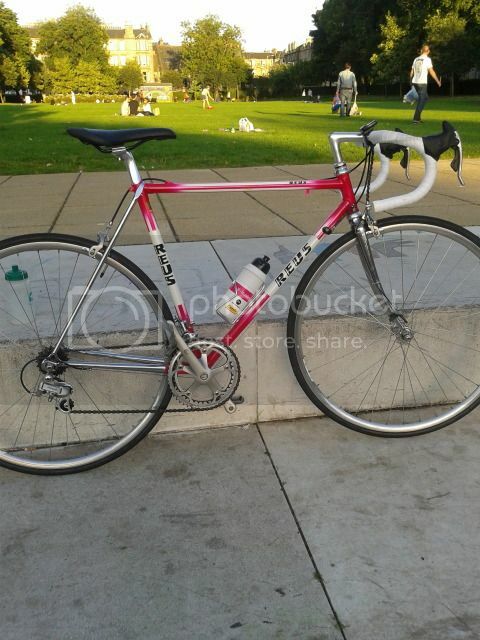 The late 80s frame was the bike I rode a couple summers ago. It shows resemblance with your frame. 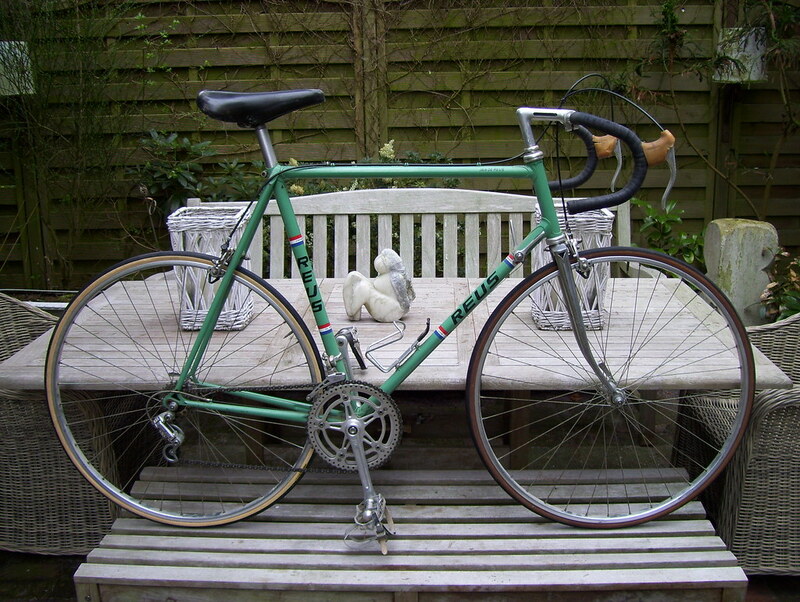 The 70s bike I restored and have not ridden it yet. Okay, maybe 2km. My 3rd Reus is same era: late 70s. A while ago I helped someone sourcing a later Reus. It had distinctive features like a dropped toptube. 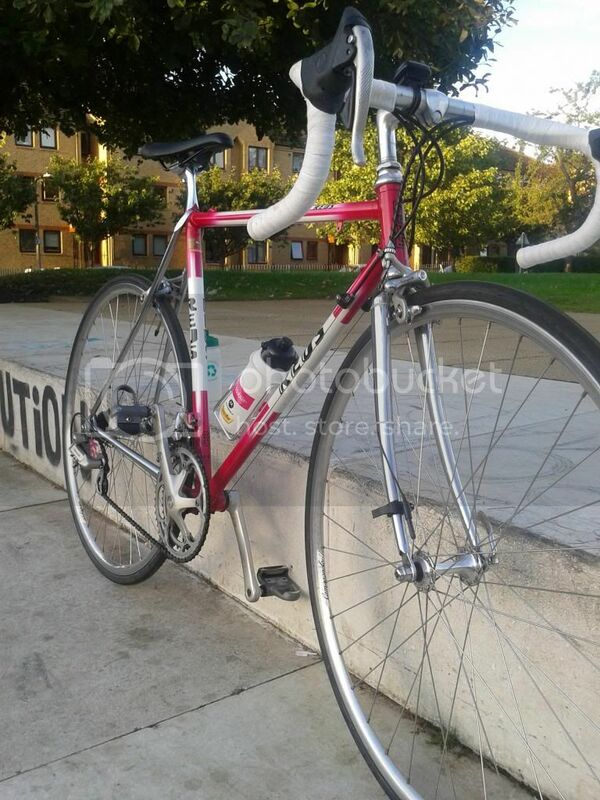 You saw something similar with for example Indu's Pegoretti bikes back in the day. Very nice!! 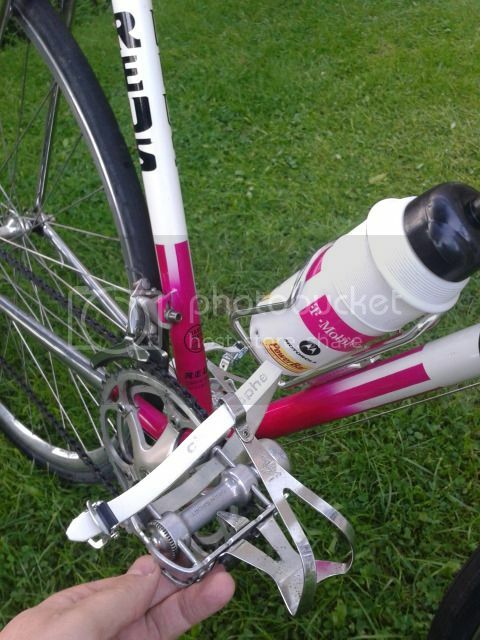 !, top one very similar, my decals I think are a bit later,hence I assume you are correct in saying yours is mid 80's as mine was definitely made in the early 90's but engraving on fork and frame are the same...mine's got nice mother of pearl white on top tube, great bikes!!! I will take some better pics on day, these I just took with mobile, sunny in Edinburgh now so out for a spin soon!! 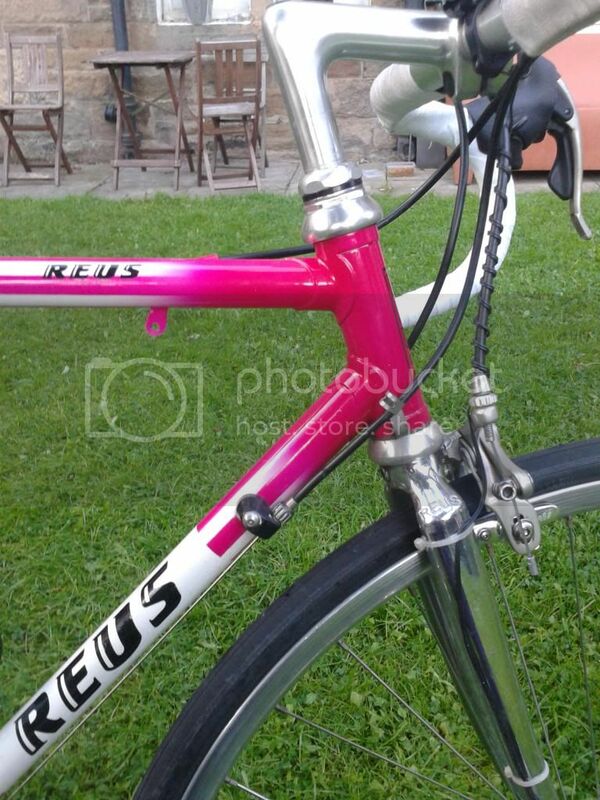 In my previous post I made mention of a later Reus with dropped toptube. A frame similar to this one. Wow! Amazing, and very interesting! Thank you ! 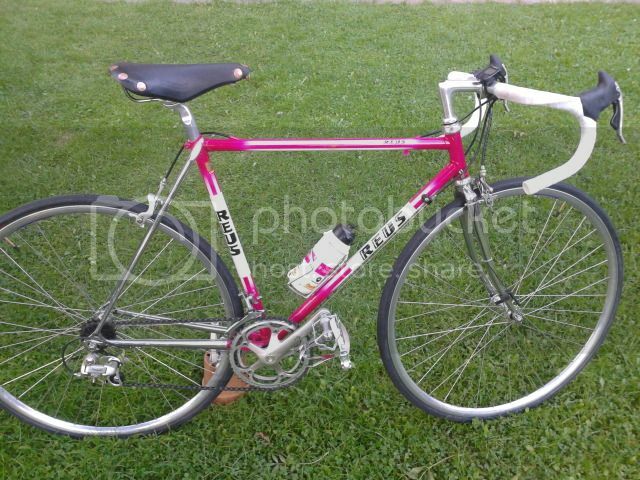 The more Reus stuff we collect and show on Retrobike , the better! This is my 3rd Reus: picture. I have taken this pic right after I had collected the bike. This is not my specification. The bike came with a very interesting headset: Galli Super Criterium needle bearing. Frame characteristics: Reynolds 531 butted, Campagnolo 1010B ends and dropouts, Prugnat lugs with 'R' cut outs in headset lugs, blades and stays with open ends. Thank you very much for posting! I have seen these back in the day, they came in red, blue, Dutch flag etc, all with Dutch flag bands..just noticed the Reus pricetag on page 4 of the brochure you posted...oh dear! Will check if I got some more Reus pics saved on my old laptop cheers! 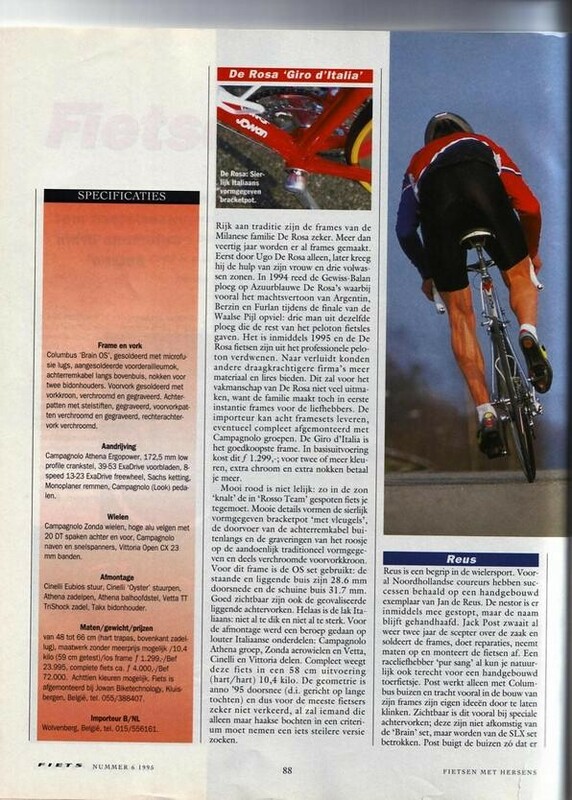 Coincidentally I just bought a pretty Reus timetrial bike myself from marktplaats, probably from the same period. Would you mind if I post the pic over here ?